The very high end of phone photography has been primarily occupied by Moment lenses and pretty much no one else. 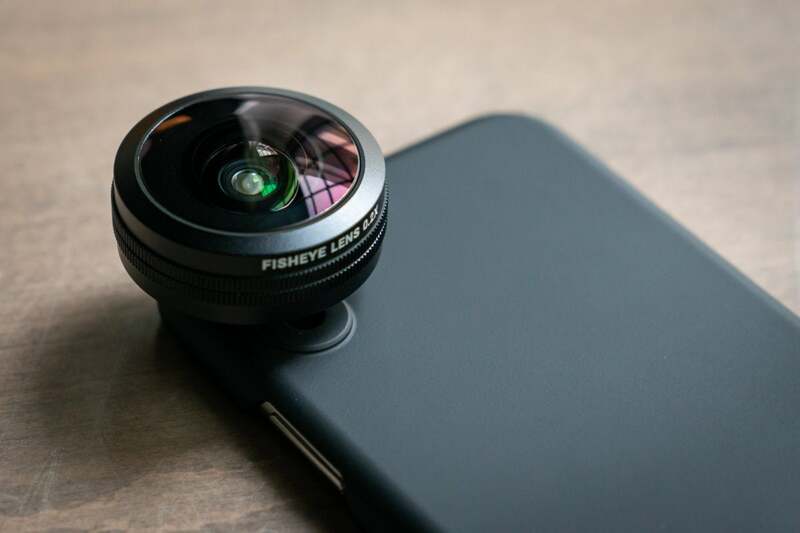 Sandmarc, known for its filters and photography accessories for GoPros and drones, is now producing high quality lenses for iPhones—and Sandmarc is giving Moment a run for their money with new wide, fisheye, and macro lenses. The Sandmarc Photography Edition is a set of three lenses that include a Wide, Fisheye, and Macro lens. Each lens is also sold individually. Every lens comes with both an iPhone X case and a clip. It’s rare a case comes with a lens, so I appreciate the inclusion, despite the case being of generic quality and its thinness probably provides only a minimal amount of drop protection for the phone. 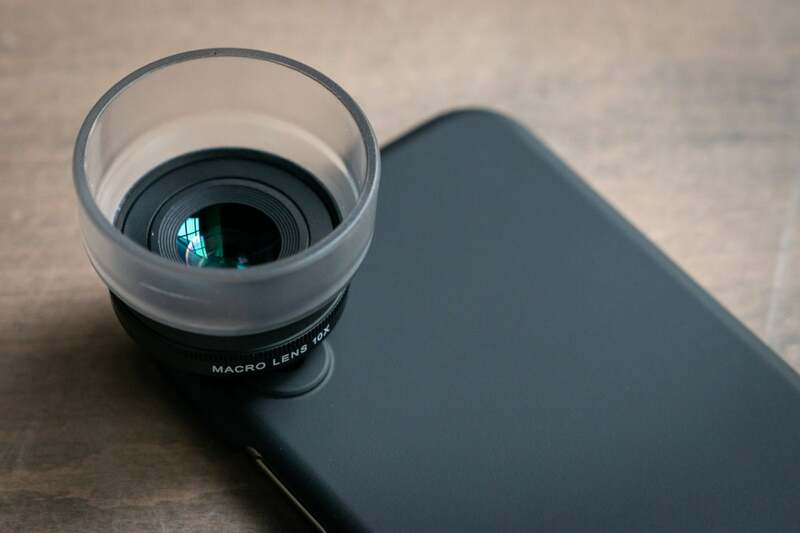 One issue with the case is the current version can only mount a lens above the standard lens on the iPhone X, but Sandmarc says when they release their telephoto lens, the new case will have threading available over both the built-in standard and telephoto lenses. I prefer lenses that attach to cases since they give you a perfectly centered mount every time. Clip mounts can be a little tricky to center and are easily budged inadvertently, but clip mounts allow the lens to be used on the front facing camera, on different phones, and even provides some degree of future-proofing as new iPhones with different lens systems develop. Sandmarc covers you both ways. The rear of the lens attaches to either mounting system via a threaded mount. I’m in the camp that prefers a bayonet style mount; it’s a little quicker and orients the lens correctly every time when a lens hood exists. Sandmarc says they use premium materials in its lenses, including aluminum and precision engineered glass. In my hands, they feel well-built, sturdy, and have some solid weight. 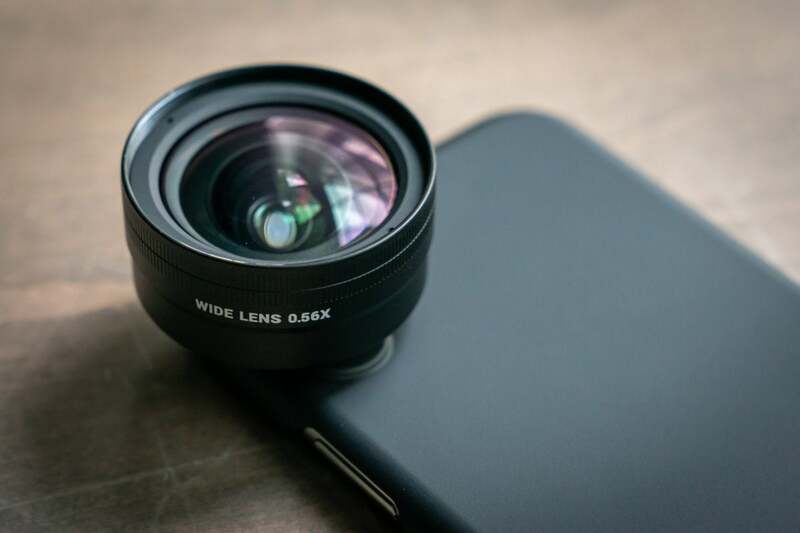 The Sandmarc Wide Lens Edition is the equivalent of a 16mm lens on a traditional 35mm camera and gives about a 2x field of view of the standard lens on the iPhone X. Wide angle lenses are popular because they solve the common issue of getting everything into a shot. I saw a minimal amount of distortion when looking at a grid chart with the Wide Lens Edition. Typically, the wider the angle, the more distortion there will be, but Sandmarc’s lens does a better job than most. When distortion exists, it’s fairly subjective whether you find that particular distortion pleasing or not. The lens also solidly maintains focus from the center of the frame all the way to the edges. I wasn’t able to see any obvious chromatic aberrations that would show up as a rainbowish edge in high contrast areas. I’m not going to judge on overall color since the iPhone X already does a large amount of image processing that could be affect colors one way or another. If a wide angle lens isn’t wide enough for you, the Sandmarc Fisheye Lens Edition is the equivalent of a 10mm lens and gives a 5x field of view. Fisheye distortion can either be more towards a very wide wide-angle or an amplified distortion, and this lens is more towards the latter. Photos will clearly be stylized fisheye, which may or may not be what you’re looking for, and as such, Sandmarc recommends this lens for landscapes and nature. This lens does lose focus close to the edges but I don’t think it’ll be a major issue and there doesn’t seem to be obvious chromatic aberrations. I shoot a lot of technology products, and macro lenses are not only common but critical for capturing the detail on small objects. Unfortunately, unlike their professional brothers, macro lenses on phones only give you a very narrow range of focus. In other words, only a specific distance from the phone will be sharp and in focus, limiting your ability to frame and compose shots. For most people, a macro lens isn’t necessary unless they shoot lots of tiny things. If you do need a macro lens, then the Sandmarc Macro Lens Edition is a great option. The lens stayed sharp and showed no signs of distortion or aberration. The bokeh was overall pleasant and the the focusing distance provided a very usable range of framing. All in all, I was impressed by the Sandmarc lenses. 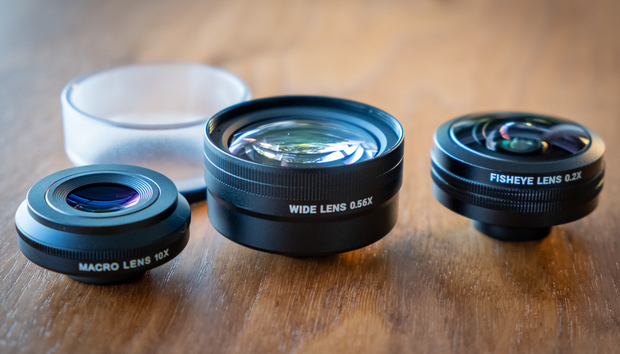 They’re optically about as good as any other premium lens out there and by providing the dual mounting options with every lens, it’s not only easy to start with just one lens but also provides some future proofing. Sandmarc also says that as future iPhone models come out, they plan on offering new cases separately, allowing you to continue using your older lenses on the new phones. And if you’re looking for a telephoto lens, they plan on introducing one soon, along with a case that will offer mounting above both the built in standard and telephoto iPhone X lenses. Moment has set the standard with overall quality and design, but Sandmarc is a far better value.